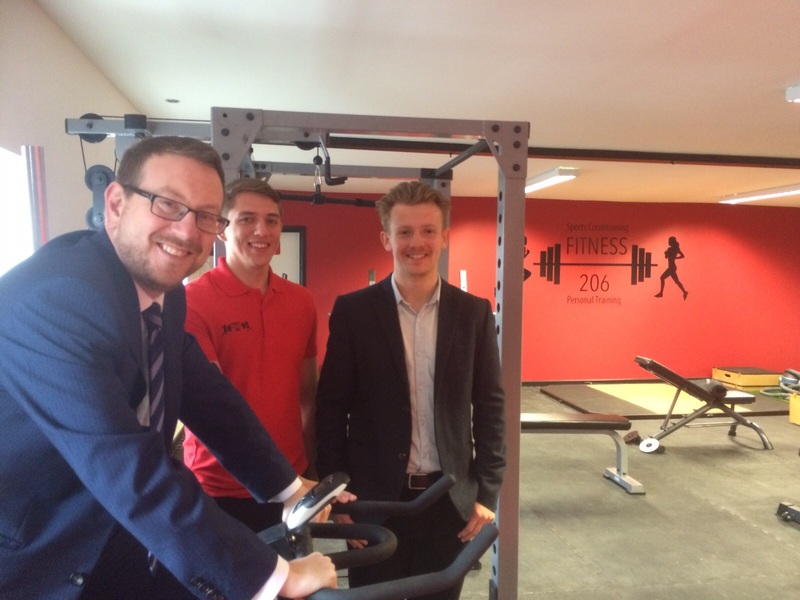 Andrew Gwynne, MP for Denton and Reddish, and George Newton, Vice Chair of Denton Town Team, have visited a new local gym to call on residents to take part in the ‘Bike Ride to Montigny’ New Year challenge in January. Teams will be able to register from January 2nd, and the first team to cycle the full 433 miles will receive a package of prizes, including a donation to a charity of their choice. Every team will be able to raise money for their charity or cause. Josh Armitage, the owner of the gym, recently established Fitness 206 above the old Gateway store on Denton’s Civic Square. The sponsored cycle has been organised by Fitness 206 in conjunction with the Denton Town Team, which was set up in 2012 and is made up of representatives from local business, the local community and Tameside Council. It has also been assisted by the efforts of the Denton Town Twinning Association. “I am a firm believer in the need to support good local businesses, and voting is still open in my Local Business Awards. “Denton town centre has witnessed a real rebirth lately and Josh and Fitness 206 are a great example.